Flemington racecourse is internationally renowned for being the home of Australia’s biggest and most prestigious race, the LexusMelbourne Cup. The Melbourne Cup Carnival is one of the most exciting weeks on the Australian racing calendar, encompassing the LexusMelbourne Cup, taking place on the first Tuesday in November, along with three other feature race days; the AAMI Victoria Derby, Kennedy Oaks Day, and Stakes Day. With the ability to attract some of the world’s best horses to compete for the Cup and attract crowds of more than 120,000, Flemington offers experience like no other. Member car parking: Members' parking in the Unreserved Car Park must enter via Flemington Drive off Epsom Road. Public car parking: Limited public car parking is available in the centre car park for $20. Enter off Smithfield Road at the Stables Drive entrance. Taxis: Taxis enter the racecourse off Smithfield Road at the Stables Drive entrance or drop off racegoers in Leonard Crescent via Langs Road. What time is the first race? VRC Members and visitors to Members’ areas must abide by the dress regulations.There is no formal dress code for General Admission, however racegoers are encouraged to dress for a smart occasion. A full range of General Admission and Reserved Seating tickets that are suitable for those with limited mobility are available for the 2018 Melbourne Cup Carnival through Ticketek. There is also a host of dining and hospitality options that can accommodate special access requirements. For more information, phone the Customer Service Centre on 1300 727 575. During the Melbourne Cup Carnival a free shuttle service will operate between the Centre Car Park, Riverbank Gate and the Main Turnstiles for racegoers with limited mobility and special access needs and their carers. Shuttle operating times area to be confirmed. Can I bring my own food or picnic? Yes you can bring food or a picnic into Flemington Racecourse. What you can bring into Flemington depends on which areas your ticket allows you entry to. Make sure you read the Terms & Conditions carefully before arriving to Flemington. No alcohol can be brought through the turnstiles into the racecourse. All non-alcoholic drinks must be unopen. Any open drinks will be discarded by security at entry. Bag checks will be conducted by security at points of entry. Anything that is considered dangerous including glasswear and knives are not be permitted. Can I bring my own chair or umbrella for shade? Yes you can bring umbrellas into Flemington Racecourse. You are not permitted to bring in or erect large umbrellas that obstruct views or portable shade structures such as gazebos. All chairs must be folding fabric stools. Deck chairs, lounges, stools and benches are not permitted. Do I need to pre-purchase a General Admission ticket? Tickets for the Melbourne Cup Carnival can be purchased from Ticketek. The Melbourne Cup Carnival is a fully ticketed event so you must buy a ticket before you get to Flemington. We advise that you book early to avoid disappointment. 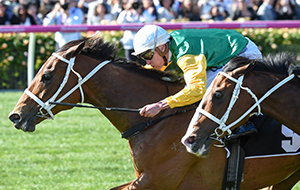 For all other racedays tickets can be purchased through the raceday page, by contacting Customer Service on 1300 727 575 or on the day at the gates upon arrival at the Flemington. Is there public seating available? Public Seating is available in Saintly Place on all non-Melbourne Cup Carnival racedays. 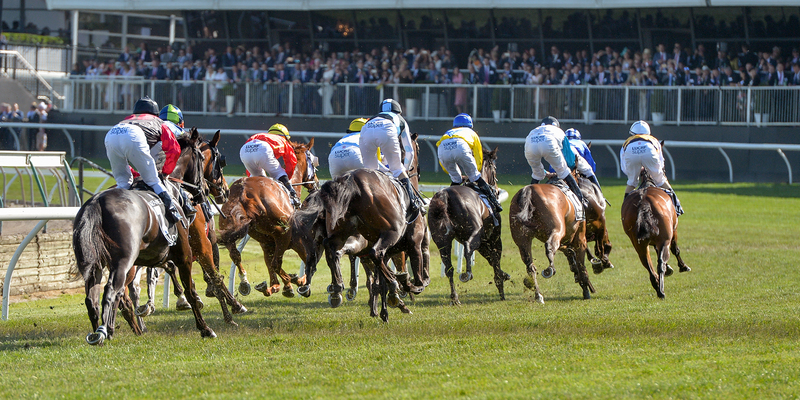 During Melbourne Cup Carnival a range of Reserved Seating options are available to purchase through Ticketek. The BMW Caulfield Cup Carnival offers hospitality, fashion, and entertainment events to make your experience at Caulfield an unforgettable one. 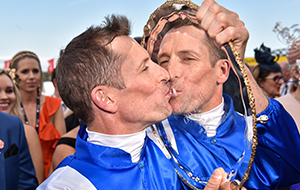 The 2017 Ladbrokes Cox Plate Carnival, the Race Where Legends Are Made, is set to be one of the most memorable in the race’s 97-year history. With over 25 Country Cup's to choose from during the Spring Racing Carnival, the Country Races offers racegoers a great day out.